The day-to-day activities of a recruitment consultant don’t differ vastly from company to company or sector to sector. Business development, candidate sourcing, process management. It’s a relatively uniformed job. So you don’t make a decision to join a company based on the responsibilities and activities on the job description. This is why it’s frustrating to look at recruitment “job ads” online. They’re often just lists of things someone wants you to do. Oh, but they pay “unrivalled commission” and have an L&D programme that’s somehow “industry leading”. But, you should be looking for the ways recruitment companies differentiate themselves. I wrote about it here. Because, despite what people tell you, there are many. How will this impact your day to day enjoyment of any role? Because the answer to that question’s going to make or break the next few years of your happiness. And happiness in this job is inextricably linked to success. 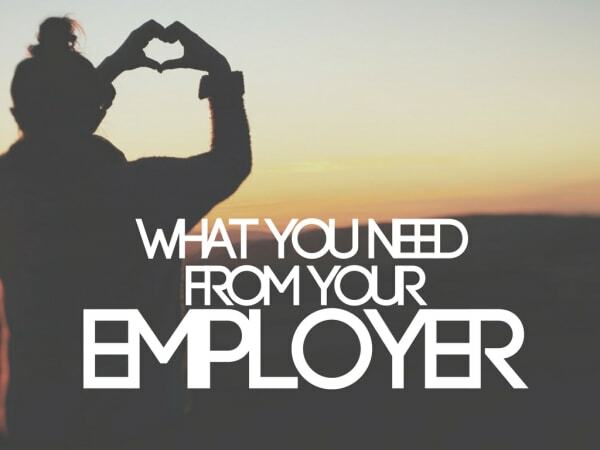 Here’s a checklist of what you really need to look for in an employer. Be that this one or the next. Whether it’s a large corporate brand, a small boutique agency or anything in between, knowing which environment you work best in is vital. Look for a company with values that align with your own. While revenue is always the bottom line for agency recruiters, how you get there will depend on the company. Do you prefer to hammer the phones or to get out of the office and network? Are you targeted on results only or do you have strict KPI’s to meet? Do you like flexibility in when and where you work? Is the company investing in innovative technology and marketing to help you perform at your best? Some recruiters thrive in a fast-paced sales floor environment. While others could not think of anything worse. Finding the environment that is right for you is key to your future success. Few things are more important in recruitment than finding a manager you work well with. Decide whether you work best with a closely supportive manager or prefer being left alone to work autonomously. Management styles vary just as much as recruitment companies. So make sure you learn as much as you can about your potential manager to understand if you are aligned with their management style and values. It’s imperative you buy in to them as a leader and get along with them on a personal level. A high-performing recruitment team can be much greater than the sum of its parts. When personalities and attitudes gel, you can end up with a team that motivates you feeds off one another. This ultimately means you not only enjoy your job more but are more successful. Like-mindedness is very important. Understand how the team works. Do they attend meetings together? Cross-sell into clients? Split fees? Competitiveness is great to have when it inspires success. But it there’s an underlying edge that could cause future conflict, that’s a time bomb. It’s important to understand the current state of the desk and whether that suits your way of working. For example, if you love business development and take great satisfaction from total ownership of projects, you might find a cold desk more fulfilling. For those recruiters who succeed in this, the pride that follows is huge. Other consultants may prefer to hit the ground running, picking up warm relationships and not having to build from scratch. Think about the market you’d be working. Is it high fee/low volume? Or vice versa? Does that suit you? Make sure you find out if there are warm relationships, or if someone’s failed at the desk before. More importantly than this. Why? Find out if you’ll be joining a team that share a patch and understand how it’s segregated. Know whether the patch is big enough that there is opportunity for you to be very successful in that market. And if you are successful, understand what this will mean. Will the desk be split between you and another consultant in the future or can you keep ownership and hire your own team? Your desk has an impact on the types of personalities you will be working with. Graduate recruitment’s very different from C-level search. And Oil and Gas is very different from PR. If you’re considering changing market, think carefully about the types of people you have a natural affinity with as this can help you build stronger relationships down the line. 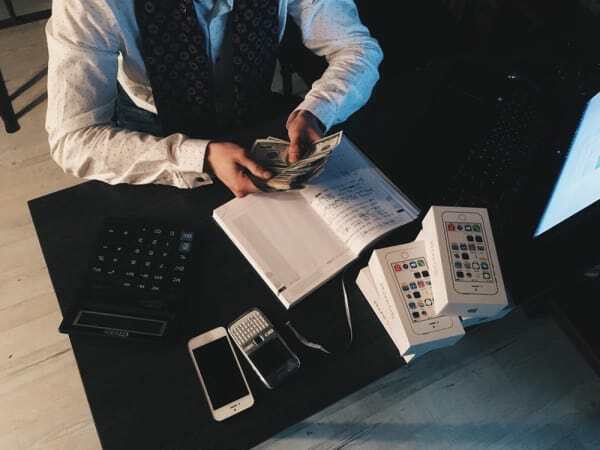 The recruitment industry has many different payment and reward structures, and it’s easy to be seduced by a sign-on bonus or the promise of equity. But, remember that a few extra percentage points on your commission or a few thousand pounds a year are not as important as being somewhere that you enjoy the day-to-day. There’s absolutely no substitute for not dreading Monday morning. Recruitment’s hard work and can keep you busy for long hours. Being in the right environment will impact your results and therefore your earnings. But the financial reward’s high on the list of importance. You need to fully comprehend the commission or bonus structure to be able to compare options. Consider whether you back yourself to hit the high performance tiers or whether you would prefer a structure that rewards the less ambitious. Run the numbers and test example figures to compare structures like for like. Remember that the best commission structure in the world is moot if you’re not billing. Consider incentives too. What are they? How do you qualify for them. Given the choice, what would you prefer: revenue-only incentives, or a wider range of activities being incentivised? Does a team weekend in Vegas sound like your perfect reward or would you prefer flexible working hours? When considering roles, dig deep on where the company is now. How quickly they’ve grown. Where they’re planning to be and what this means for you. Do you see yourself as a manager or a biller? Maybe you want to relocate abroad? Whatever your ambitions, it’s important to pick a company who can support you in realising it. Dig deep on the practicalities too. How long is it likely to be before you’re promoted? What exactly do you need to achieve to get that promotion? How many people transferred abroad last year? Is there minimum time in the company needed before an international move is considered? Learning and development opportunities are a vital consideration. For your future career growth it’s important to understand the infrastructure and support offered and what the impact could be on your success. You might only need support in immersing yourself in your market. But that’s not on offer everywhere. Choose a company who’ll offer you the tools to do your job effectively. Whether that means a state-of-the-art ATS, a LinkedIn Recruiter account, a dedicated Resourcer or a client entertainment budget. Different people rely on different resources. You might not have any ‘must-haves’. But give it some thought before accepting, so you know you have everything you need to be successful. Good recruiters have a huge number of options available to them. If you’re considering a new role, it’s important to explore your options fully and visualise yourself working there. The bottom line is, you’re more likely to be successful if you’re happy. So choose a company that makes you happy and the success will follow.